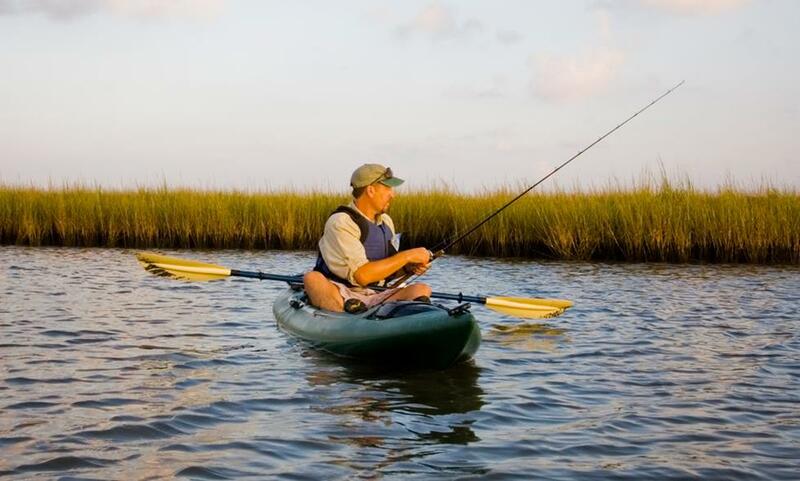 When most people think of kayaks, they think of paddling around in secluded creeks or blasting down roaring rapids. That's fun stuff, of course, but the indigenous subarctic peoples who developed kayaks thousands of years ago didn't have "fun" in mind. They were just looking for a better way to find food. If you think taking your kayak down a rushing river is exciting, imagine going out to hunt whales. Kayaks are still used for hunting and fishing, of course. And just as the kayak itself has come a long way from animal skins and air bladders, so too has the tech involved. You can still use a spear if you want to, but most people seem to think that a fish finder, a good rod or two, and maybe some lights work better. The power for the electronic gear has to come from somewhere, and you'll need a way to control it. 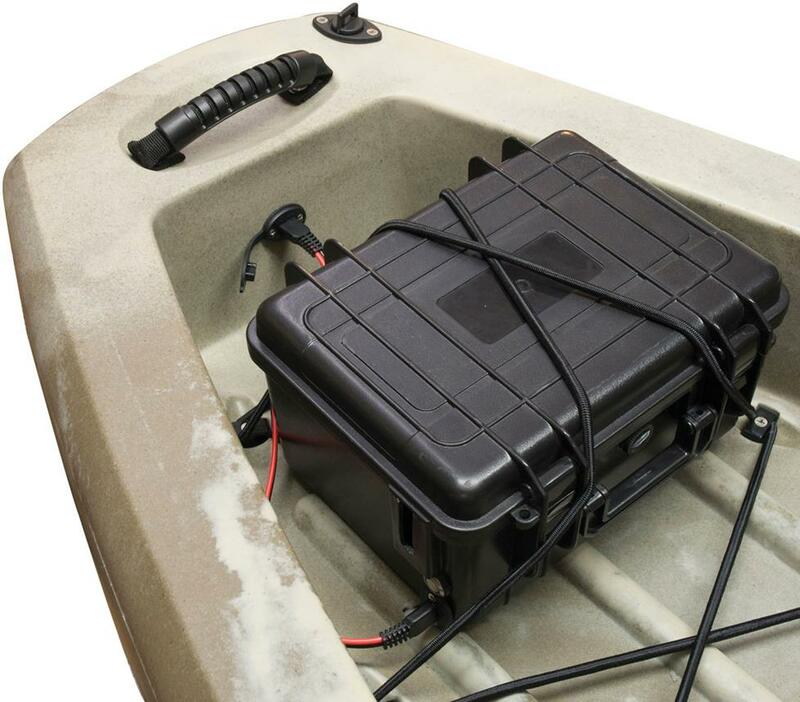 Yak Power's line of 12-volt kayak gear gives you the water-resistant, plug-and-play solutions you need to install the gear you want. If you want to use your kayak for hunting, fishing, and camping, this is the stuff you need. It all starts with the batteries, and there's no better battery storage than a Yak Power Power Pack. This rugged, water-resistant box will hold up to three 7 AH (amp-hour) batteries or two 12 AH batteries, and it's compact enough to fit into most storage hatches. There's a lot of smart thinking inside this box, too. It has a built-in Power Port outlet to power your 12-volt accessories and two integrated USB charging ports for your phone and action camera. A 1-amp home trickle charger ensures that it maintains a full charge between outings. There's also a built-in power switch, so you'll be able to turn the box on and off. The neat thing about the Yak Power system is that it's designed for ease of installation. And eventual expansion. Our tech support guys have a bounty* on anyone who uses the phrase "plug and play" without good reason, but in this case, it's worth the risk. All the wiring options have SAE connectors, so there's no cutting or splicing involved. Everything works together, so you can start with a very basic system and, if you need to, build it into a full-featured fisherman's dream. If you're just running a fish finder, for example, you won't need much. Start with a battery and a Power Pack, then add Yak Power's battery terminal pigtail, a Power Port, a master power switch, and a Power Plug. They say that less is more, but more is definitely more. And if you have more stuff to power (a fish finder, a bait well pump, LED lights, a spotlight, etc. ), you'll need more Yak Power accessories. But not that much more. The good news is that creating a more complex system really isn't much more complicated. For a system like this, you'd need the Power Pack, probably bigger batteries, plus a Power Panel electronic control system, three Power Ports (bow, midship, stern), a battery terminal pig tail, and three Power Plug accessory connectors. *Just kidding – they're actually very nice people. Fish like lights (green, specifically, it's said), and so do the power boaters with whom you might be sharing a lake or creek after dusk. Yak Power's LED lighting kits (available in green or blue) are very bright, very tough, and a great addition to your kayak. Yak Power's patent pending "Through Hull" 12-volt connectors and plug-and-play wiring make the installation process remarkably easy. Just drill a hole, screw in the Through Hull connector, plug the lights in, and fire 'em up. 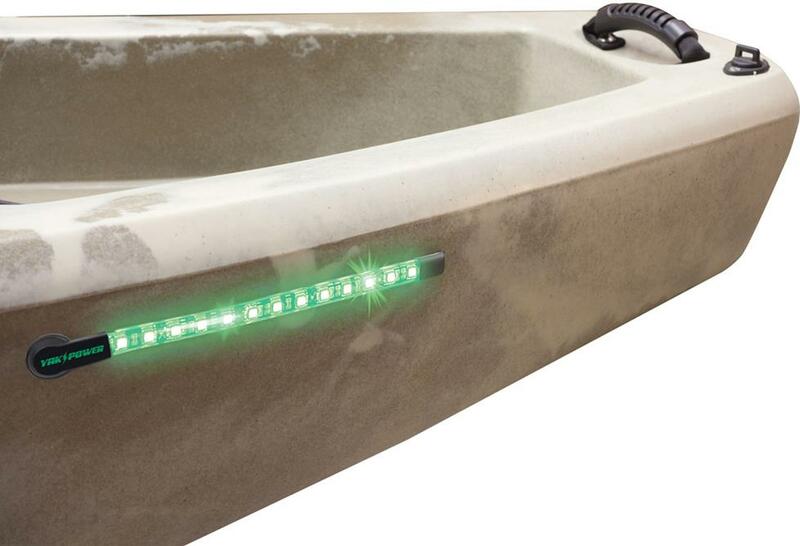 These compression-molded LED light strips have a silicone-encased connector plug that plugs into the Through Hull connector. There's no cutting, no splicing, no caulking, and no leaks. Each light kit comes with plug-and-play SAE connectors to ensure a stress-free connection to any Yak-Power system. Check out the entire Yak Power lineup, then give us a call to plan the system that's right for your kayak.